Located to the west of Udaipur, the Rajasmand city of Kumbhalgarh is a famous destination amongst the historic places lovers of the world. The tranquility offered by the place makes it a popular weekend getaway for the locals. The trekkers, photographers and the nature lovers want to explore Kumbalgarh at least once in their life. If you too want to visit the famous city of Kumbalgarh from Udaipur, then it is suggested to book a cab for a one way travel at the Tixilo cab rentals at pocket friendly prices and experience a joyful ride. Why a Tixilo hot one way from Udaipur to Kumbhalgarh? Kumbalgarh is situated 102 km west to Udaipur. 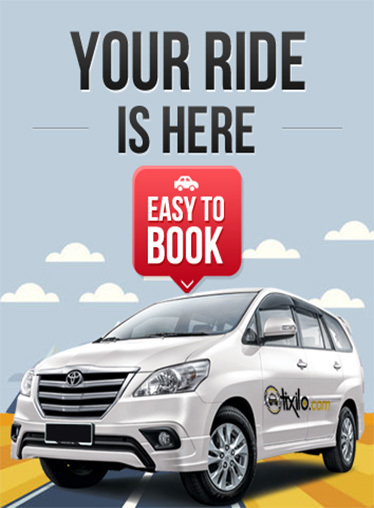 you can easily book a cab online through Tixilo app or at our website and hire a car of your choice from a range of SUVs and Sedans. You can go for the one way taxi services offered by us at affordable prices and get ready to reach the beautiful fort in a duration of less than 2 hrs. Our efficient drivers ensure you of a hassle free journey from Udaipur to Kumbalgarh en route to Nathdwara and Haldi Ghati. We provide a one-time pick up from anywhere in Udaipur and a one time drop to Kumbalgarh at affordable rates. · Comfortable and safe taxis. · Unmatchable and affordable prices. · Large fleet of taxis including luxurious vehicles. · Well-organized network of car rentals.